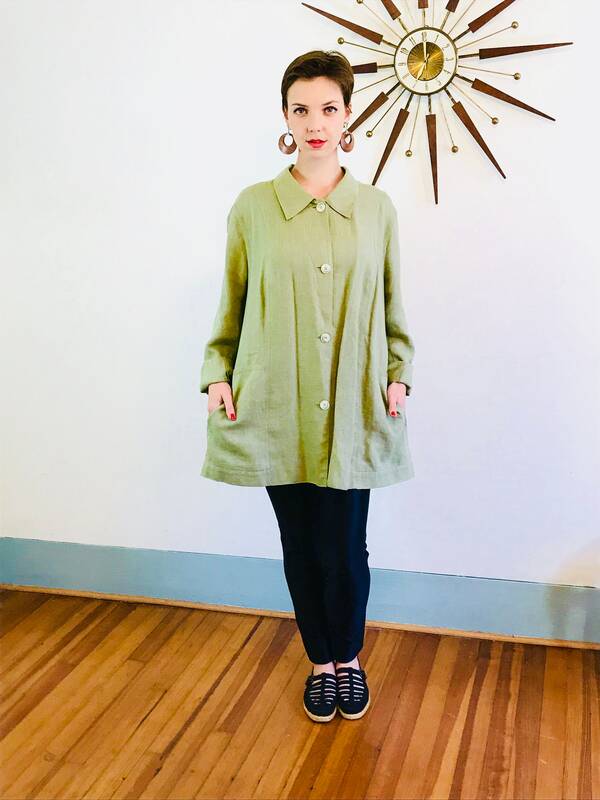 I love this minimalist oversized jacket! 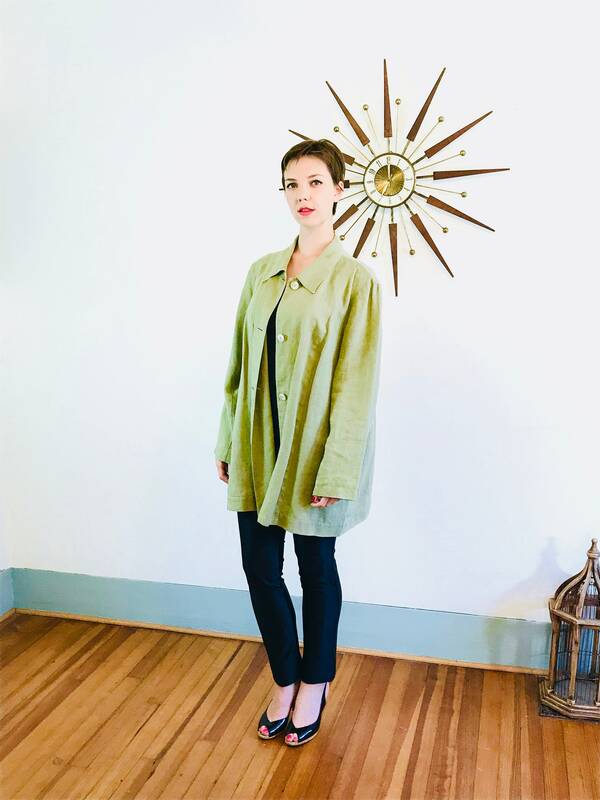 This boxy linen blazer is made by Harve Benard. 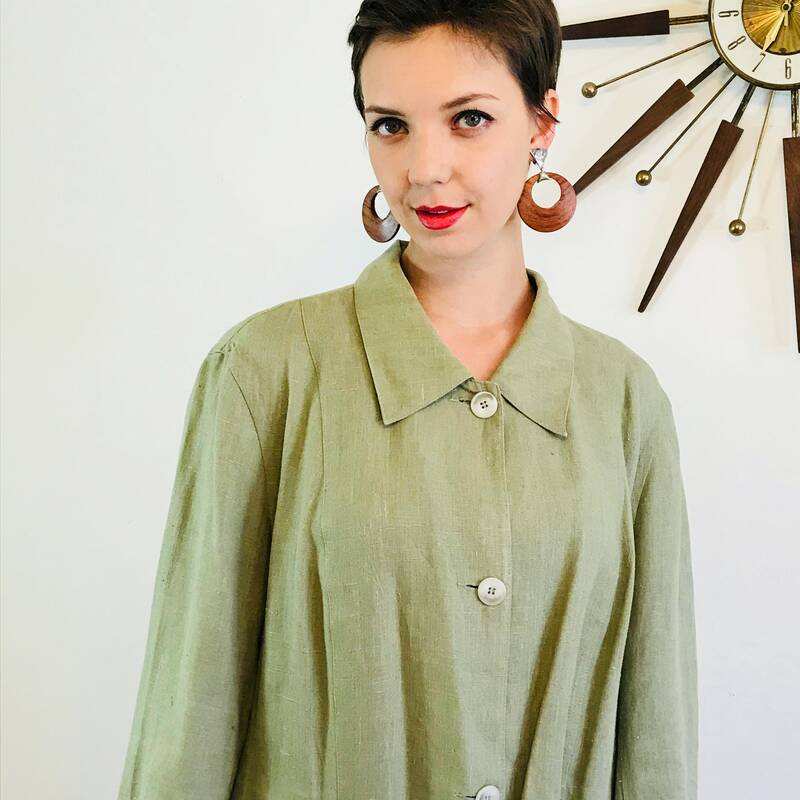 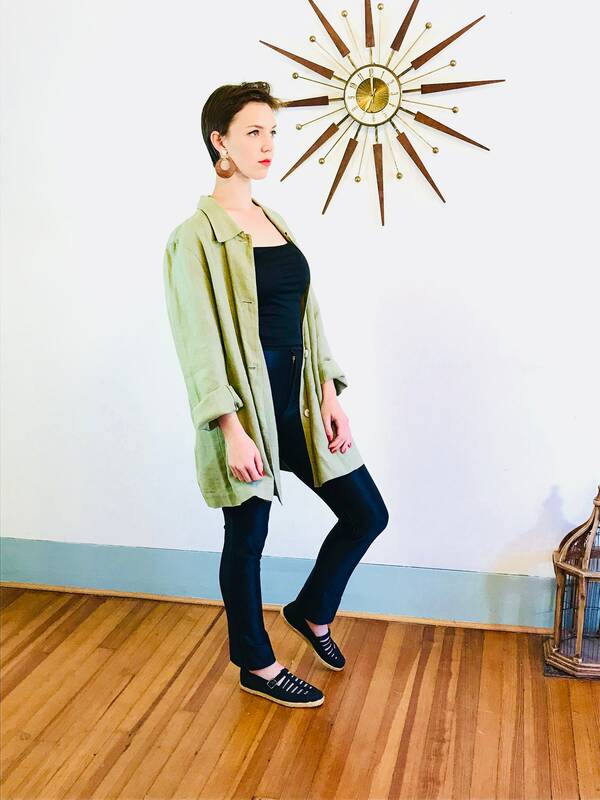 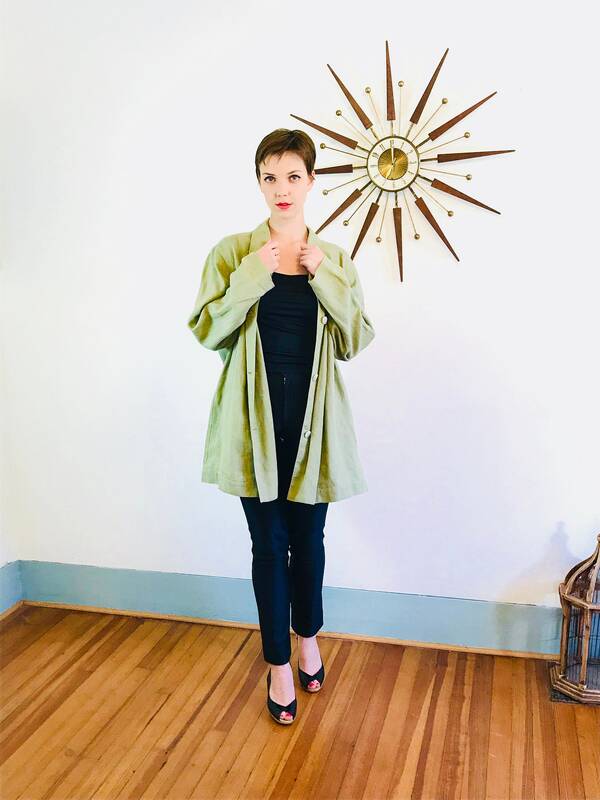 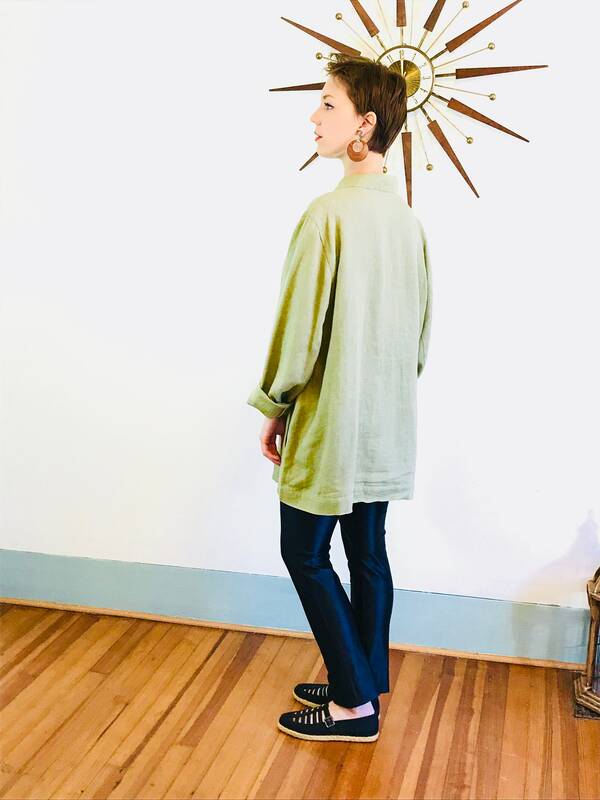 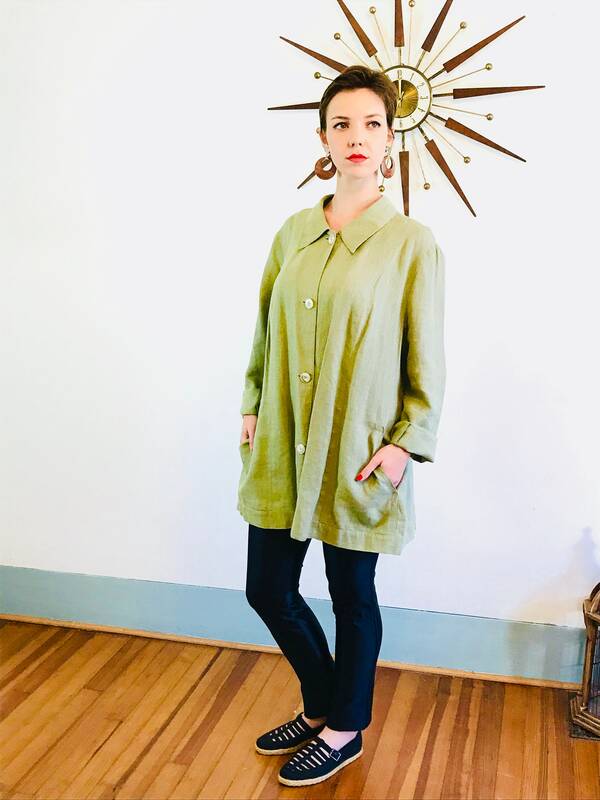 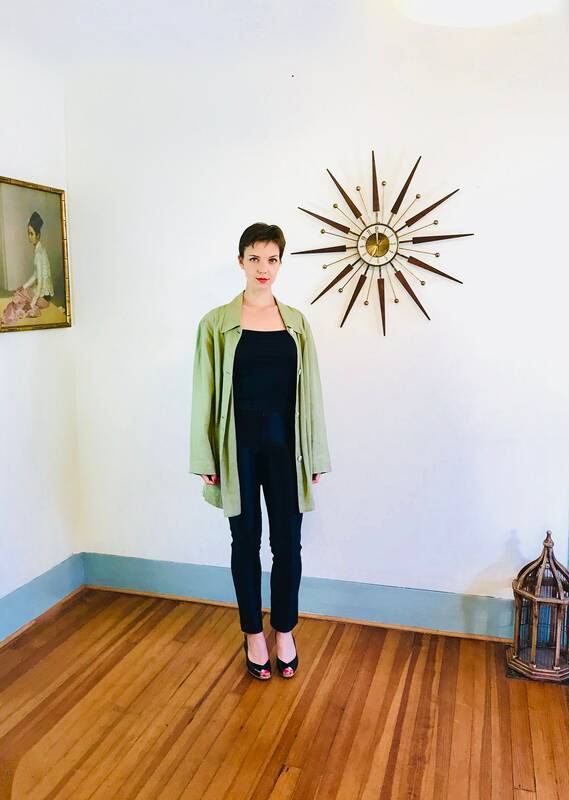 This vintage 90s blazer is sage green and made of a light weight cotton linen. 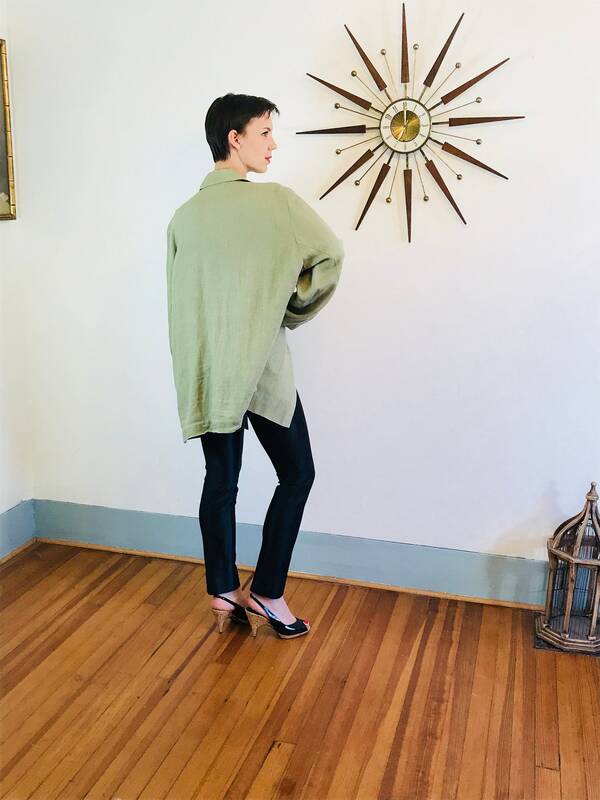 This 1990s cotton blazer is long and minimal and looks great on a variety of sizes! 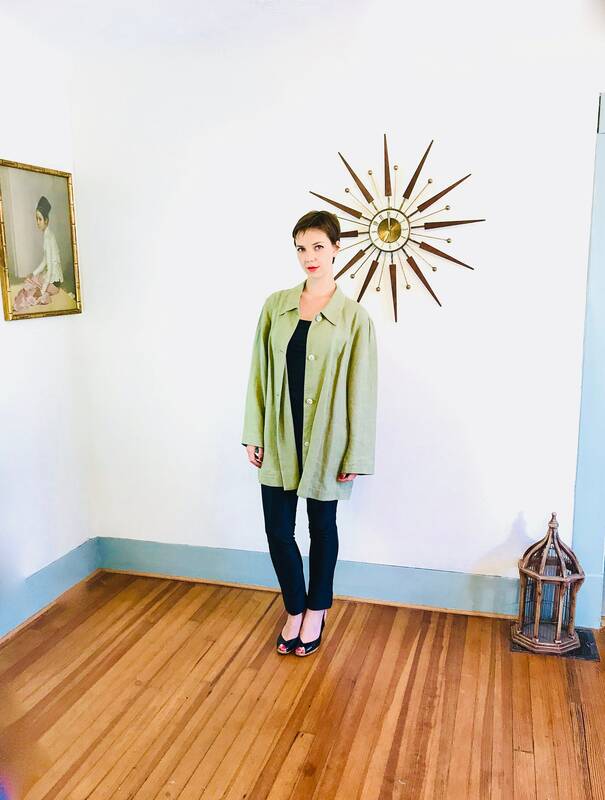 Tag: Harve Benard by Benard Holtzman "Woman".